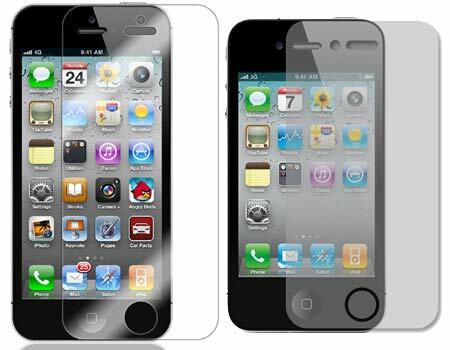 The best iPhone screen protectors listed here are your defenses against some of the Apple gadget’s worst enemies like fingerprints, dust, smudges and scratches. Wondering how to keep your handy device as fresh as a daisy while rigorously exploiting its multiple features? Well, simply glance at our extensive options and pick out one that suits your needs. Investing in a good display shield is as important as acquiring other essential accessories for the smartphone. We had earlier catered to iPad 2 owners by revealing our selection in this very category. It’s now time to help out other iDevice fans. Christened with a name that might sound extraterrestrial to some, this accessory is fashioned with specially processed reinforced glass which helps earn points in the shock absorbency area. It measures 0.4mm thick and boasts of 8-9H hardness. Fingerprints and other unwanted particles are kept at bay thanks to the employment of an oleophobic coating. What’s more, the glass won’t be a safety hazard in any way in case it breaks as it’ll shatter into pieces that aren’t sharp at all. This particular entrant in our roster is of the invisible clear matte sort that comes complete with an anti-glare attribute. According to the developer, it hits shelves with multi-layer Grade A Japanese Film and is easy to install, minus any hassles or bubbles. It features multiple layers so that your iDevice is safe even in the event of sudden impact. The box options comprise of a 3-pack as well, which allows you to always keep a spare handy, just in case the occasion calls for a replacement. When you pull out your wallet and part ways with just under $20, you’ll be able to procure not one, but two self-healing sheaths that are especially formulated for the latest Apple smartphone. 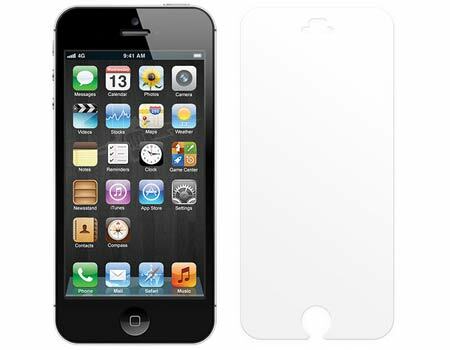 The thin add-on in question sports an innovative silicone film that aids in keeping away scuffs or scratches. And even if it suffers any such bumps, you’ll be able to watch as it bounces right back, as good as new. 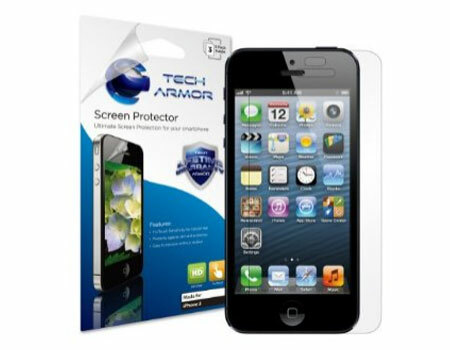 The clear variant from Tech Armor is blessed with the patented TruTouch technology so that the interface’s responsiveness isn’t compromised at any cost. Furthermore, the high quality images that glare back at you through the Retina display will not be hampered or distorted in any way. By shelling just under $4, you’ll be able to opt from different varieties namely, Mirror, Anti-Glare & Anti-Fingerprint and 4-Way Privacy. It also comes with a lifetime warranty. This company that enters the terrain enthusiastically is all set to unveil its brainchild – an accessory that’s apparently fashioned from the same film material utilized to safeguard military aircrafts, luxury cars and NASA space shuttles. 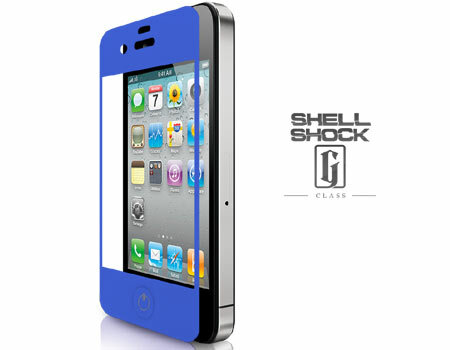 Almost invisible, it also sports a patented layer of UV coating so that the shield doesn’t show any signs of yellowing. This inclusion in our roundup is compatible with the newest Apple handset as well as version 4. However, the latter is up for grabs at $7.95 only. 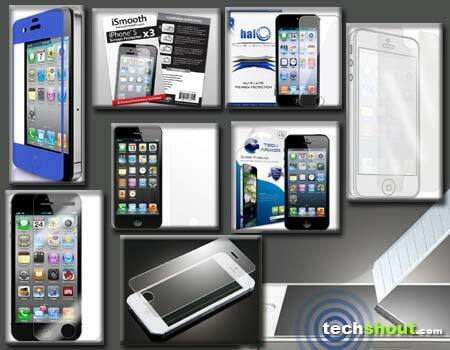 We understand your plea to keep your precious iDevice untarnished. And what better way to do so than by surrendering your gadget to a product that’s splashed with a name which is associated with King Arthur’s most trusted knight? According to the maker, this user-friendly skin is created from the highest quality recycled Japanese PET. This easy to install accessory will also reduce bacterial growth and keep your smartphone’s surface squeaky clean. 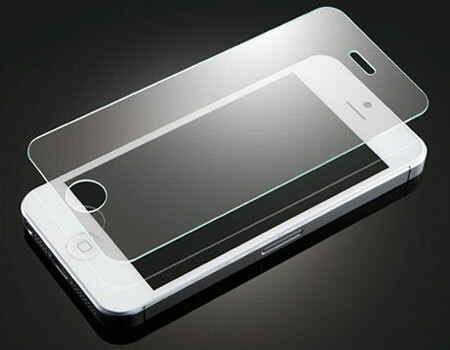 You can even pair this product with a 4 or 4S variant. ‘How many times have you let someone else hold your phone?’ quips the developer. Well, if the number’s quite high, especially counted each time with your heart in your mouth, then this seems like just the solution for you. The slim shield has the ability to withstand more pressure when pitted against regular ones, as per the maker. And depending on your requirement, you can opt for a front and back combo or simply an individual front sheath. Fashionistas will also be spoiled for choice as it strides across the scene dressed up in multiple vibrant colors. This contender is looked upon as the most expensive one in our array. For just $8, you’ll be able to get your hands on a trio of options, all wrapped up neatly in one single box. The ultra clear offering is completely scratch-proof and comes complete with detailed instructions and a handy cleaning cloth. 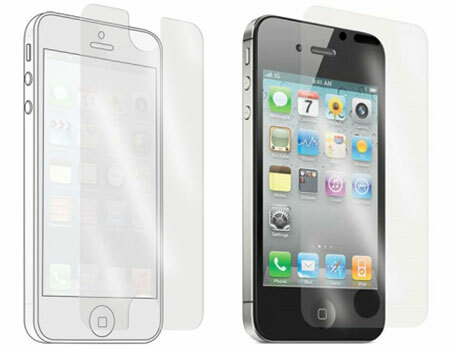 Some of its other attributes read as washable, dust repelling, bubble and fingerprint free, and anti-glare features. 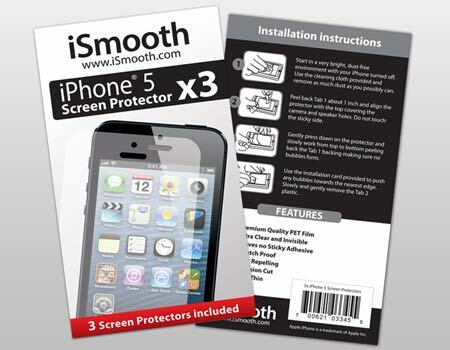 You can employ this sheath with the 5, 4 or 4S version of the iDevice. 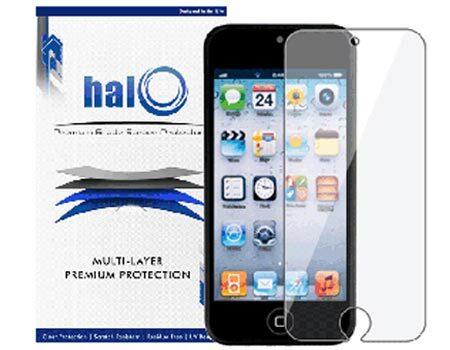 Grace your iDevice with any of the aforementioned best iPhone screen protectors and you’ll bargain for a worry-free deal. You’ll be able to say goodbye to any nasty scars that may decide to tarnish your precious Apple gadget. Keep your handy handheld squeaky clean at all times and safeguard it from blemishes even before they show up uninvited. Do let us know which ones you’ll be picking up soon by jotting down the names right here in the box below.